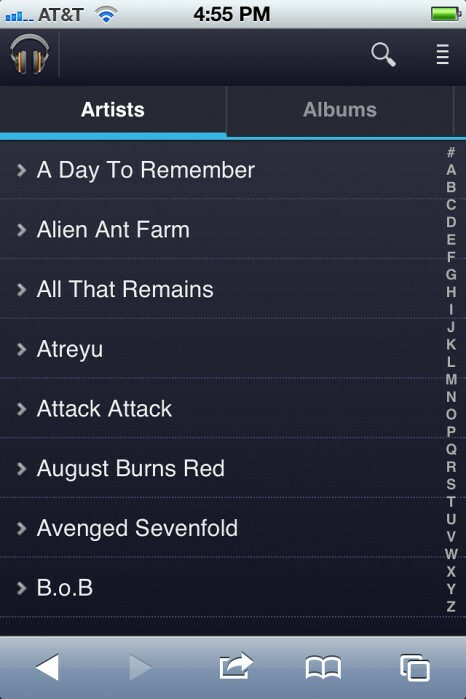 Google has just released a HTML 5 optimized Music Beta player for iOS 4, announced via Twitter. 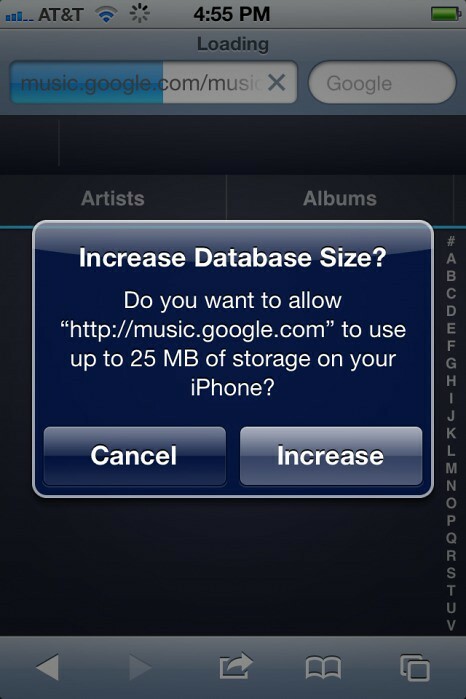 Upon first launching the webpage, Google asks for the allowance of 25mb to be stored on your device. After, you are presented with a full run down of all of the artists you uploaded to the service. 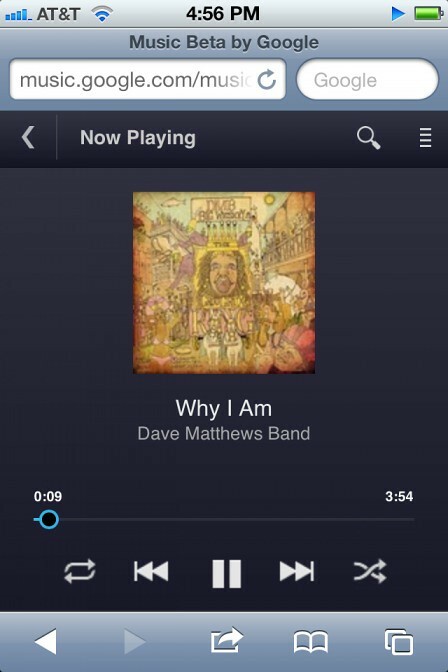 Once you have selected a preferred song, you are taken to a “Now Playing” page. Yes, if you haven’t realized already it works a lot like the music.app. This feels so sleek!